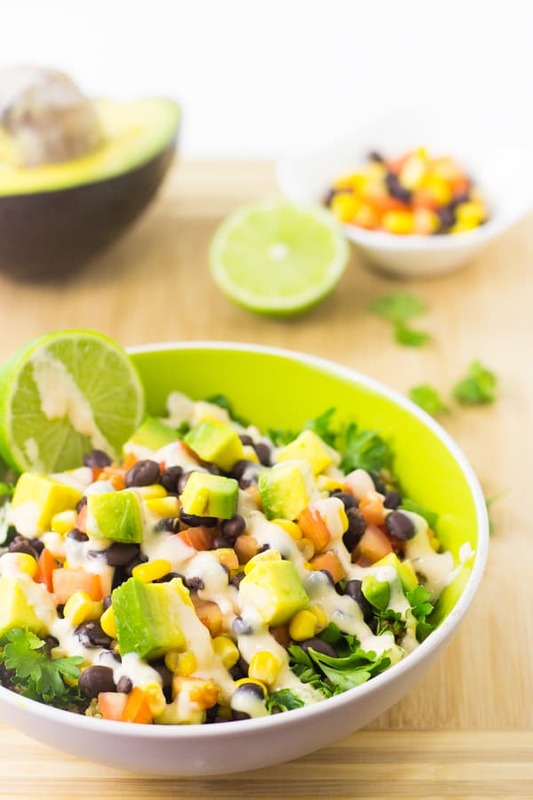 This Quinoa and Black Bean Burrito Bowl is such a quick and easy meal that is deliciously nutritious, filling and topped with a creamy chipotle dressing! I’ve spent the entire weekend lamenting on the fact that I avoided black beans for two (TWO) decades of my life and NOW I CAN’T GET ENOUGH OF THEM. Why oh why did I take so long to realise they are amazing gems? If you were at my house this weekend you’d be in for quite the Mexican buffet since I pretty much made all the things black bean and Mexican. I’ve been waiting to share this burrito bowl with you because it is AMAZING. I know it’s custom to make New Year’s resolutions, and while I didn’t make any written resolutions I have decided to in 2015 I’ll be happier. I know it sounds cliche, but I’m completely committed to doing things that make me happy this year, including (watch how I connect this) eating more Mexican food. I’ve always been into bowl meals, but burrito bowls take it to another level. 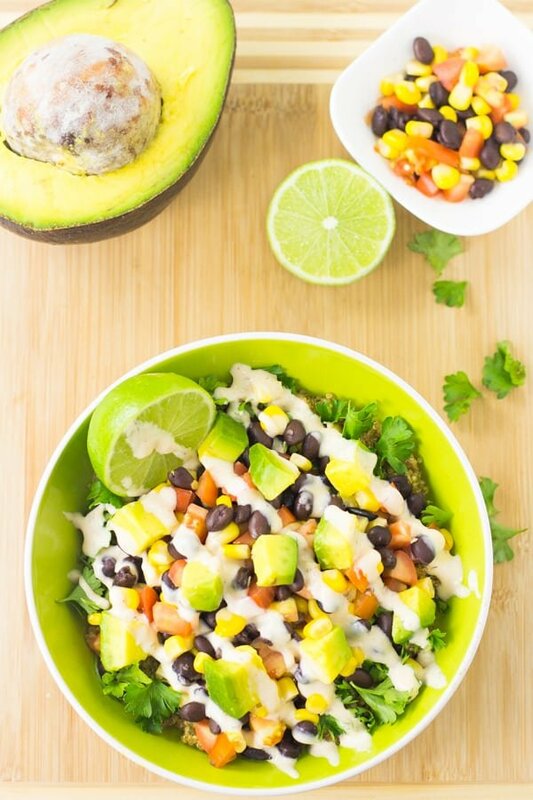 This Quinoa and Black Bean Burrito Bowl is loaded with all the layers you’d expect in your burrito – beans, tomatoes/salsa, corn, cilantro and avocado and I swapped out the rice for quinoa. Why? Because I’m kind of obsessed with quinoa: see HERE, HERE, HERE and HERE. The quinoa itself is amazing. Mixed with very Mexican seasonings, I could eat it alone, but then becomes the ultimate bowl meal by all of the layers on top of it. Then on top of all of that I added a chipotle dressing which seriously, makes this the BEST Quinoa and Black Bean Burrito Bowl. Yup I went there – and I’m not even afraid to say that since it was proven by how quickly I shovelled this down. That good. 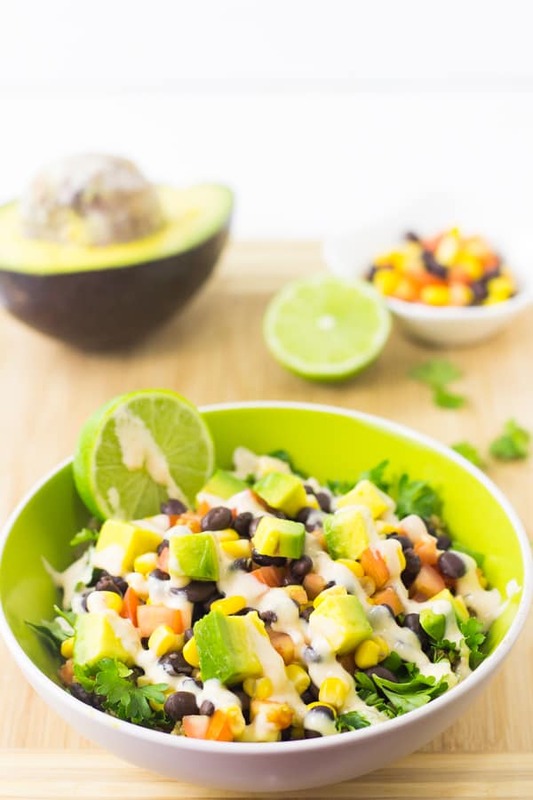 My favorite thing about this quick and easy burrito bowl is that you can customise it just like you’d customise your burrito – I’ve already planned that next time I’ll make the avocado into guacamole and add it on top and layer the elements side by side like I did in this Tropical Quinoa Bowl – just because. See? Making progressive future plans for 2015 already. Even more reasons I love this bowl? It’s ALL HEALTHY. Isn’t that amazing? I love healthy food that’s also delicious and nutritious but tastes like comfort food. 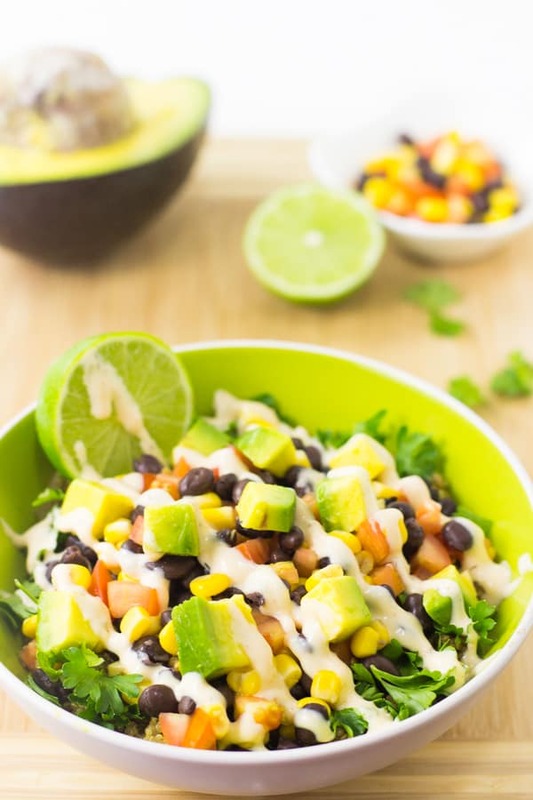 This bowl is low carb, loaded with tons of protein from both the quinoa and the black beans, healthy fats from the avocado, and all the other ingredients add a ton of benefits inclusive of Vitamin C, Vitamin A and Vitamin K. It’s also completely gluten free. 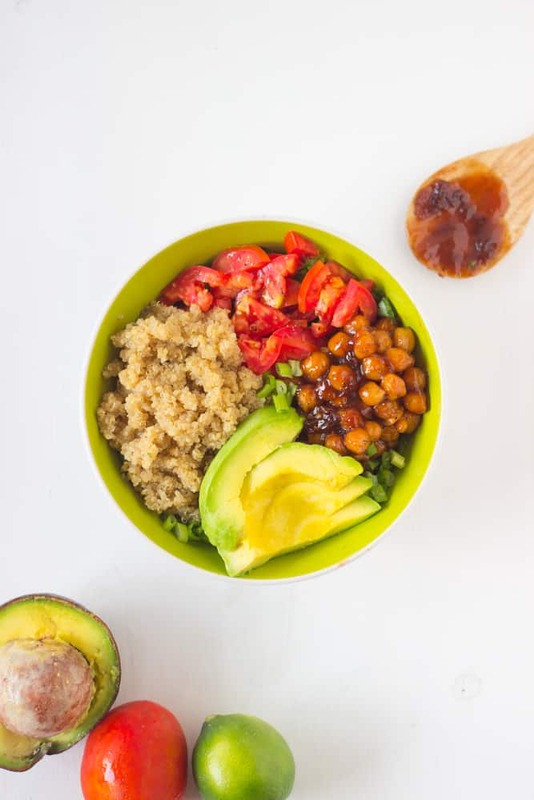 The Mr. and I actually shared this bowl and we were both full but we did add extra quinoa to our own personal bowl – which again points to how much you customise this recipe. I squeezed half a lime over the top because I love lime and the acidity it adds, so if you want to that’s always a great option too. If you try this let me know! In a pan over medium heat, add 1 tablespoon olive oil and heat. Add the onions and cook until translucent (alternatively, add the onions to the quinoa while the quinoa is cooking) for about 3-5 minutes. Add to pan the quinoa, chili powder, oregano, cumin, salt and ground black pepper and mix all together. Remove from heat. Add the ingredients in layers as per "Per Bowl" suggestion or add to suit your own preference. I like to mix the black beans, corn and diced tomatoes together first, then into my bowl. 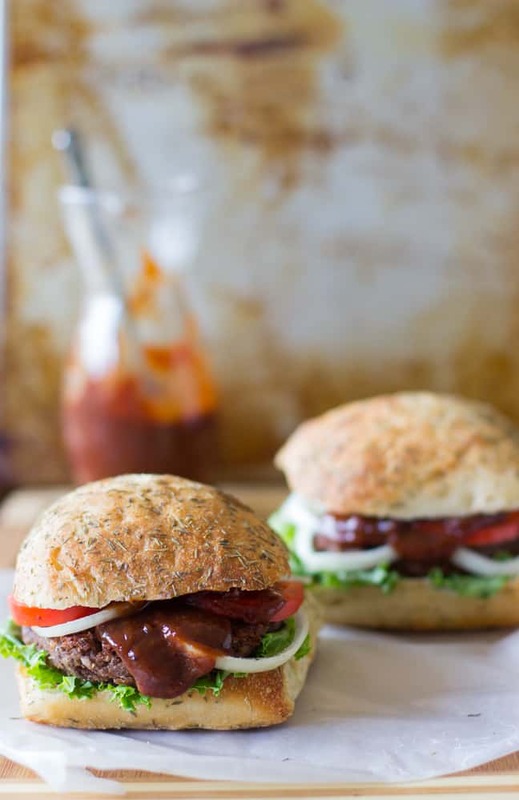 Top with your favourite chipotle dressing and enjoy! 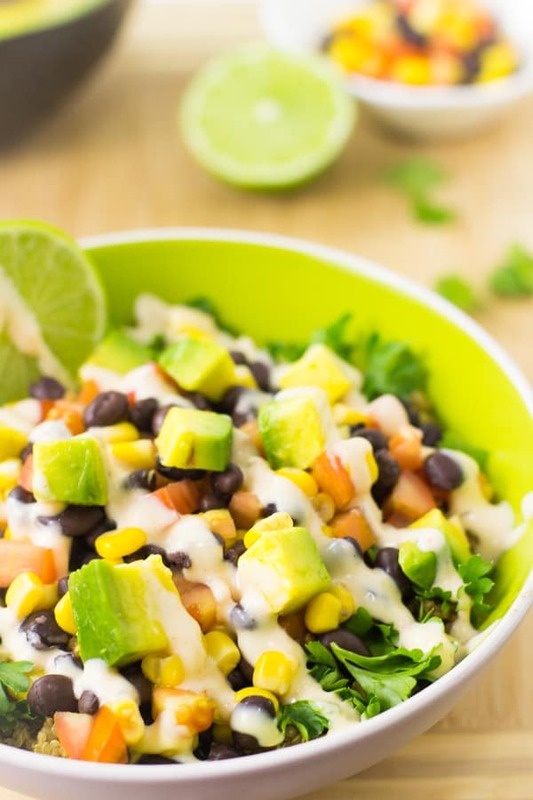 This Quinoa and Black Bean Burrito Bowl such a quick and easy meal that is deliciously nutritious, filling and topped with a creamy chipotle dressing! Now this looks delicious! and your pictures are gorgeous! Thanks for published it. Pretty Idea!! Very easy steps. Sure will try. 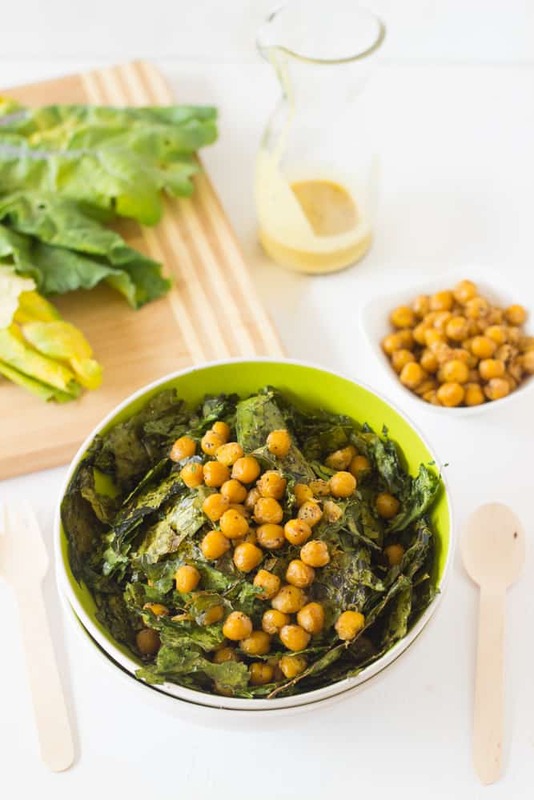 Easy to make, Deliciously, Nutrition enough and so on! Just love and bookmark it. Thank you. Haha but of course! Thanks Dannii! Sounds excellent Jessica! YUM! Quinoa is soooooo damn good and good for you! I just love these bowls, Jessica! They’re so gorgeous and anything filled with quinoa and all the burrito flavors is right up my alley! This is definitely going on my dinner menu! Delicious flavors, Jessica AND your recipe includes quinoa! Yes, yes and yes! This makes a perfect meal after a full day! Thank you for sharing, Jessica! I used to think I didn’t like black beans either. It’s funny how many things I love that I never would have imagine way back as a picky eater. 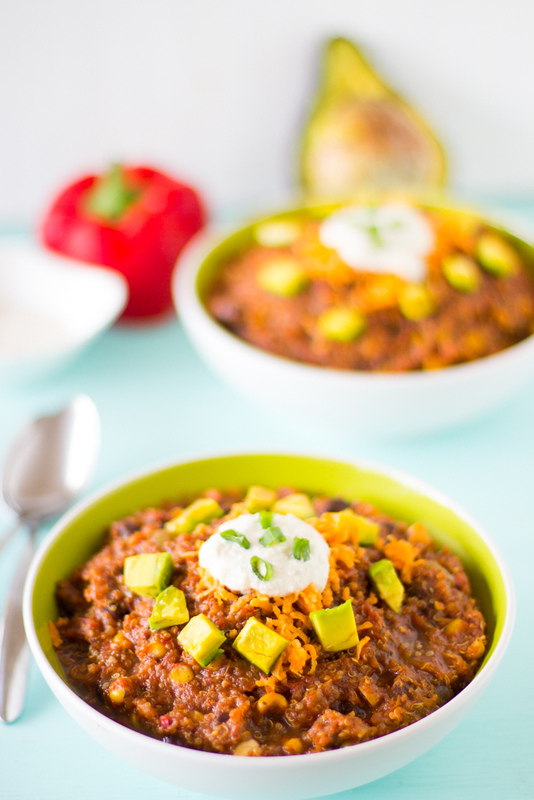 : ) This looks delicious; I love hearty and healthy together! Here’s to a wonderful 2015! YUM! This looks so yummy! Love burrito bowls, one of the best comfort foods. Such a bonus this is healthy- perfect year for the new year detox! This burrito bowl looks fantastic, Jessica! I love using quinoa whenever I can, so this looks like the perfect meal to me! Yay for a happy 2015 – Mexican and quinoa always make me happy too 🙂 This burrito bowl looks seriously amazing! Love that it’s healthy too! Fifteen minutes? Seriously need to have these ingredients on hand at all times! Can’t wait to try it! Haha yes! I hope you enjoy – I had this again this weekend and it was delicious! Hey jessica thanks for the recipe. I’ve heard before about all the great benefits that black beans have like the vitamin A content and more, will defintiely be eating this Friday night! Thanks Food mom!! Hope you enjoy! I am very happy to have this recipe. Thanks for posting. Fam was very skeptical when I said I wanted to make this, but we all loved it. Thank you for sharing the recipe! Will def make this again. I’m SO glad to hear that! Thanks so much for giving me your feedback! Wow, this is amazing i must confess. Just wondering if you use fresh/raw corn with this, or if you use frozen/cooked. Seems like raw would be better but I’m not 100% sure! I think at the time we only had canned corn available in Jamaica, so I used that! You could definitely use any corn that you want, and just ensure it’s cooked first before adding it to the bowl. I hope that helps!